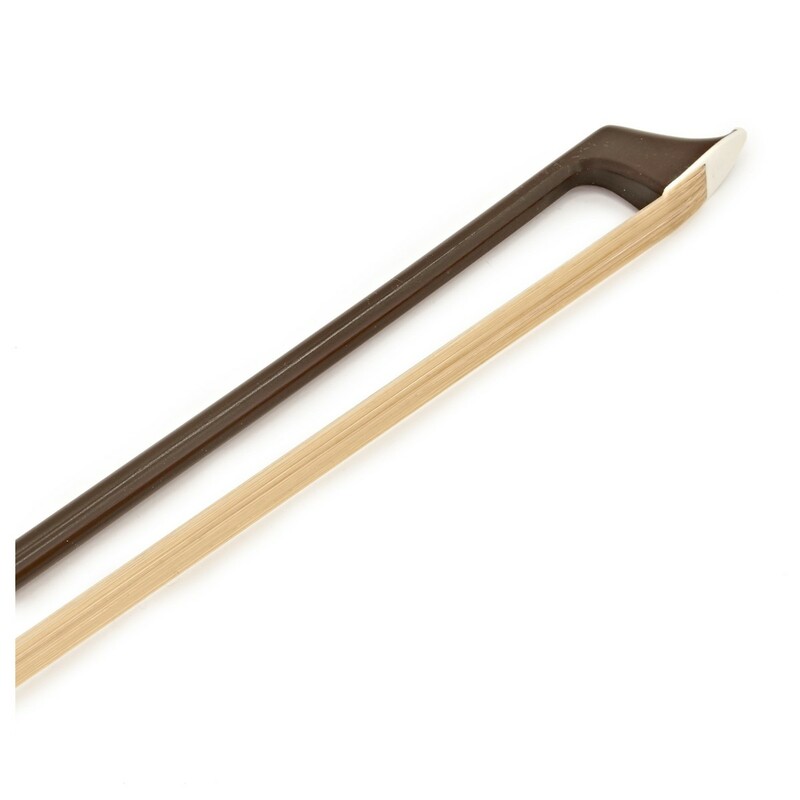 The CodaBow Marquise GS Violin Bow is considered the standard bearer of master bows. Expertly designed by leaders in professional bowmaking, the Marquise GS delivers exquisite handling and expressive sound. Once reserved for only a few, new technologies have finally made this bow available to a wider audience. Advanced and organic fibres expertly blend to bestow natural response, sensitivity and beauty. More supple than its Diamond cousins, the Marquise GS appeals most to players seeking a bow experience in the finest French tradition. For almost 10 years CodaBow and master bowmaker Roger Zabinski have crafted bespoke carbon-fiber bows for professional musicians. The wide range of carefully crafted bows offers players their choice of tailored playing experiences. The Marquise bows deliver a refined and sophisticated playing experience beyond their popular Diamond designs. The name Marquise is evocative of the distinctive cut of diamond prized for its elegance and sophistication. The Marquise bows have previously only been available on a limited private basis but new technological breakthroughs now allow CodaBow to make these prized bows available to the wider public. After years of crafting the Marquise models, the GS has gradually revealed itself as the most popular. Its optimum balance, flexibility and weight provide exquisite handling. The breakthrough organic-fiber architecture produces a warm, rich, powerful sound. High-sensitivity carbon fibers extend continuously from button to tip plate bestowing a natural response and beauty. Referred to inside the workshop as the ‘Gold Standard’, this Marquise design appeals to discerning players more than any other and is the clear choice as the standard-bearer of the Marquise Experience. The Marquise GS's high-pressure infused acoustic core contains a new blend of natural (plant) fibers and Kevlar® to deliver organic timbre, rich overtones, and full expressive range. Decades of experience has taught CodaBow that creating superior, sophisticated sound requires more than just carbon fiber. This organic-fiber blend is the clear favourite of master bow players. Breakthrough In-Touch™ Technology showcases unidirectional carbon fibers running without interruption from button to tip. Advanced bi-lateral positioning of high-sensitivity fibers transmit your energy directly to the music. This naturally elegant architecture enhances lateral stability, offers superior tracking, and gives exceptional response. 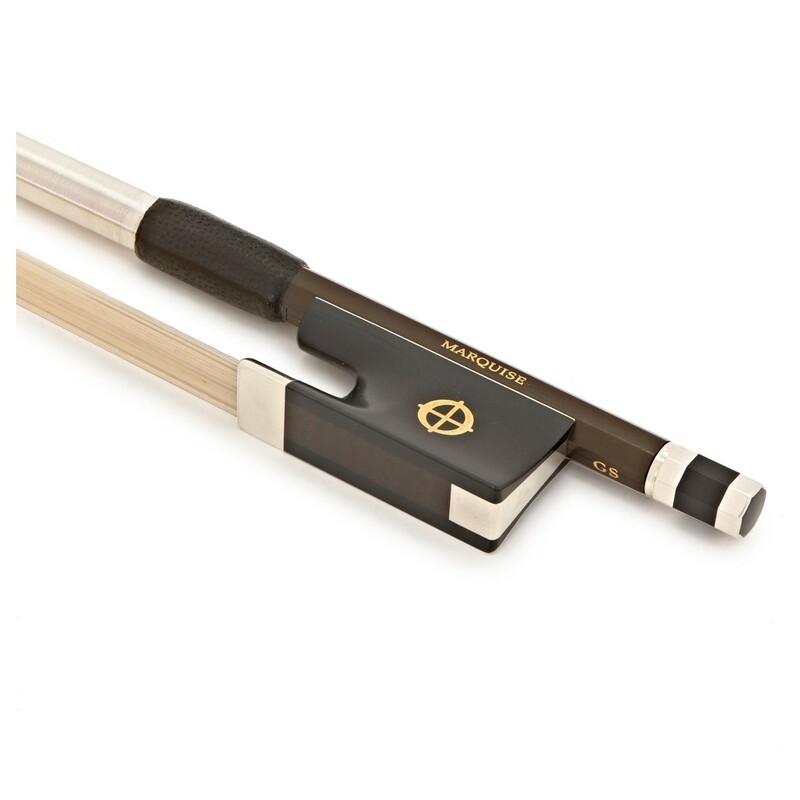 XEBONY® is an elegant solution to the world's endangered supply of instrument-grade ebony. Comprised of organic fibers and resin, XEBONY® boasts a rich luster and natural grain that impresses players and bow makers alike. Stronger and more durable than natural ebony, XEBONY® offers improved performance while conserving our endangered resources. 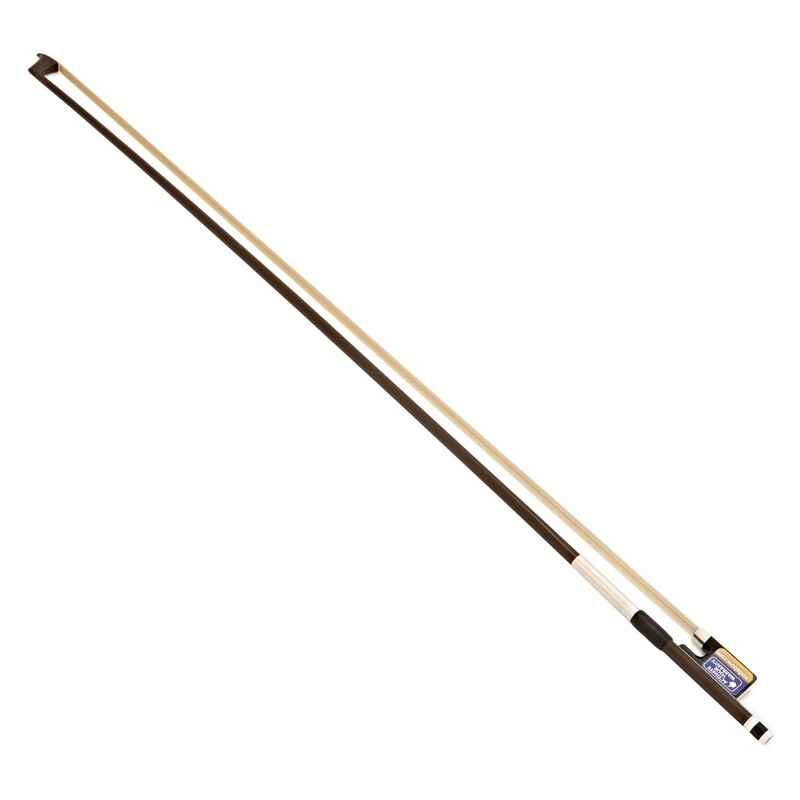 GlobalBow® designation ensures that the Marquise GS violin bow contains no endangered, monitored, or regulated species (wildlife or fauna) and can pass worry-free through international Customs. A Materials Declaration Certificate is available. This makes the bow perfect for any travelling player. Backed by a Limited Lifetime Manufacturer's Warranty, this violin bow is built to last. Each Marquise bow features its own unique identification number. When registered by the original owner with our workshop, this identification number will activate the Lifetime Warranty, and entitle the original owner to a full complement of priority workshop services, including rehairing, model upgrades, and customization.